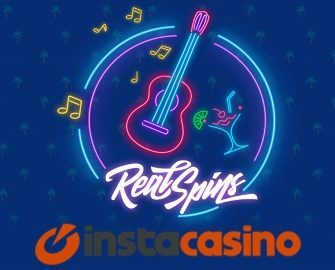 InstaCasino – Summer RealSpins Festival! 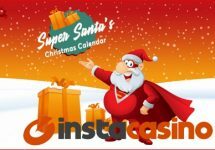 Win up to 100 Mega Spins, worth €2.00 each! Summer is here and this means a lot of festivals, music and celebrations. And this year RealSpins will be adding to the excitement. Spin the reels of your favorite games at InstaCasino until 29th July 2018 and be in the run for some great RealSpins prizes on two popular rock slots from Netent. Earn points per spin to race into the TOP50 to be a winner. Get ready for a thrilling 11-day wager race at InstaCasino to win Mega Spins, Super Spins and RealSpins, running until 29th July 2018. Play any slot to earn points and race into the TOP50 of the leader board to get a share of prize pool. The race is held in association with Chance Hill Casino, hence, winners can be from either of the two participating casinos. Bonus bets arising from Free Spins earned prior to the start of the campaign will not be included. The leader board will be updated twice a day at 10am and 4pm CET, the final leader board will be displayed on 30th July 2018. All prizes will be credited to the winners account within 48 hours after the end of the race. There is no wagering requirement on cash or RealSpins prizes. The value of Mega Spins is €2.00/spin and Super Spins are at €1/spin, will be credited two Netent slots. 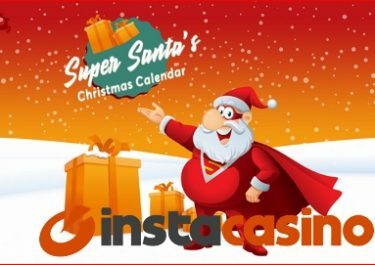 Winnings from Mega and Super Spins need to be wagered x35 times, subject to the InstaCasino bonus terms and conditions.